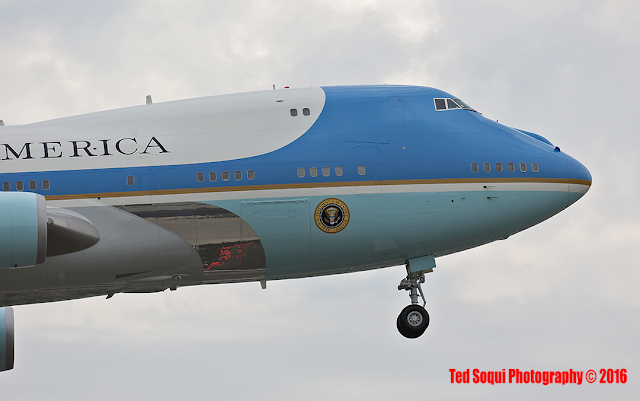 President Obama arrived at Los Angeles International Airport via Air Force One today. The President will be a guest on the Jimmy Kimmel Show, and will be campaigning on behalf for former Secretary of State Hillary Clinton all over the Los Angeles area. This will be one of President Obama's last trips to Los Angeles before he leave office in January.